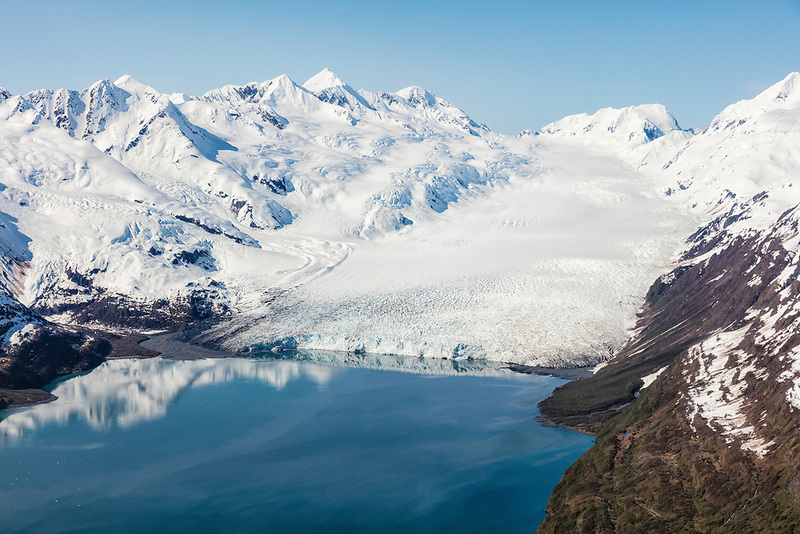 Reflections of Chugach Mountains and tidewater glacier in waters of Prince William Sound in Southcentral Alaska. Spring. Morning.